Cultural delegates from around the world listened in rapt silence as a lone Cambodian musician, flute in hand, took the stage at the Mediterranean Conference Centre, Valletta. By the time he finished his address, many were in tears. Arn Chorn-Pond, 50, is a human rights activist and survivor of the Khmer Rouge genocide, one of the worst atrocities in living memory. As a child, he was taken from his family and sent to a prison camp where he was taught the flute to play propaganda songs as victims were tortured and killed. Few of those who entered the camp with him and were later sent to the front line as child soldiers left alive. His family were among millions killed across the country. Music, he believes, literally saved his life. “I used to think it was just music but now, when I listen carefully to my own music, I start to cry. It’s a cleansing for me, to stop having bad dreams,” Mr Chorn-Pond told the Times of Malta. “If I didn’t have art, I would shoot myself. I would dig my own grave. I’ve lost most of my family, I’ve lost my country. Where can I go? One place, that’s all,” he said, gently tapping his heart. After fleeing Cambodia, an arduous journey that involved months alone in the jungles as a boy, Mr Chorn-Pond spent most of his adult life in the US. He has since dedicated himself to a number of causes, central among them Cambodian Living Arts, an organisation he set up to revive the culture of his country, crippled by the murders of as many as 90 per cent of artists in the genocide. In Malta this week for the World Summit on Arts and Culture, a three-day event bringing together cultural leaders from 80 countries, he is adamant on the transformative power of music and art, as well as the desperate need for governments to invest in it. The S-21 torture chamber in Phnom Penh. 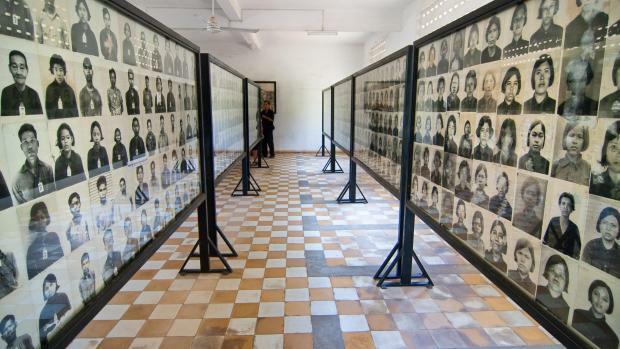 The Khmer Rouge wiped out an entire generation. In a time of global divisions, he says, culture is more needed than ever if we are to transcend difference, even as funding dries up and governments shift attention.